We know how to make your experience the best it can be. We have been in the skydiving business for over 15 years! There will be approximately 10-15 minutes of training before being suited up for your skydive. Our highly experienced instructors will teach you everything you need to know, so you can have a safe and enjoyable skydive. We have successfully taken thousands of people on skydives! 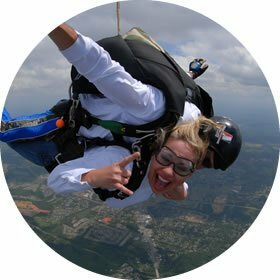 A tandem skydive pairs you with one of our USPA certified instructors. This option allows you to make a skydive without all of the responsibility a skydive comes with. With just 10-15 minutes of training, you can enjoy the ride, while your instructor will do most of the work. Tandem skydiving is the safest and most common way people choose to make a skydive for the first time. 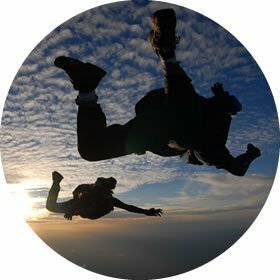 If you have already completed a tandem skydive, and would like to further your skydiving experience, consider our Accelerated Free Fall (AFF) course. With as little as just 7 jumps, you can become a certified skydiver that can jump anywhere in the world! Skydive Philadelphia has proudly been training people to perform and master the art of solo skydiving since 2004. Call us today to begin one of the safest and most exciting paths to solo skydiving!